The well designed heavy duty pent shed is highly practical. 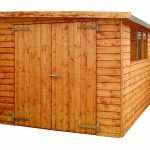 You can choose from ten different door positions which allows this shed to fit in perfectly to whatever space you have reserved for it. 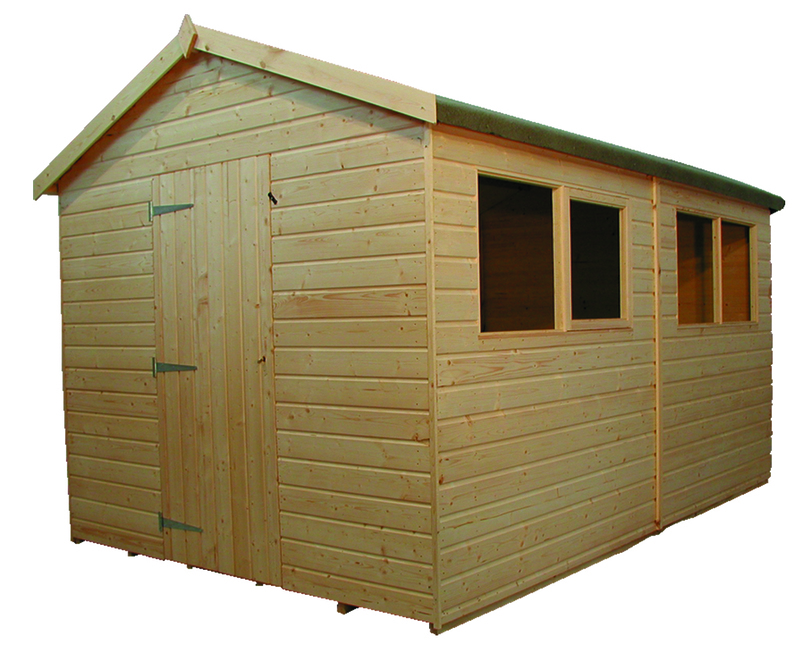 The 15mm tongue and groove shiplap cladding is much thicker than the average shed. You can also find this cladding throughout the roof and floor. 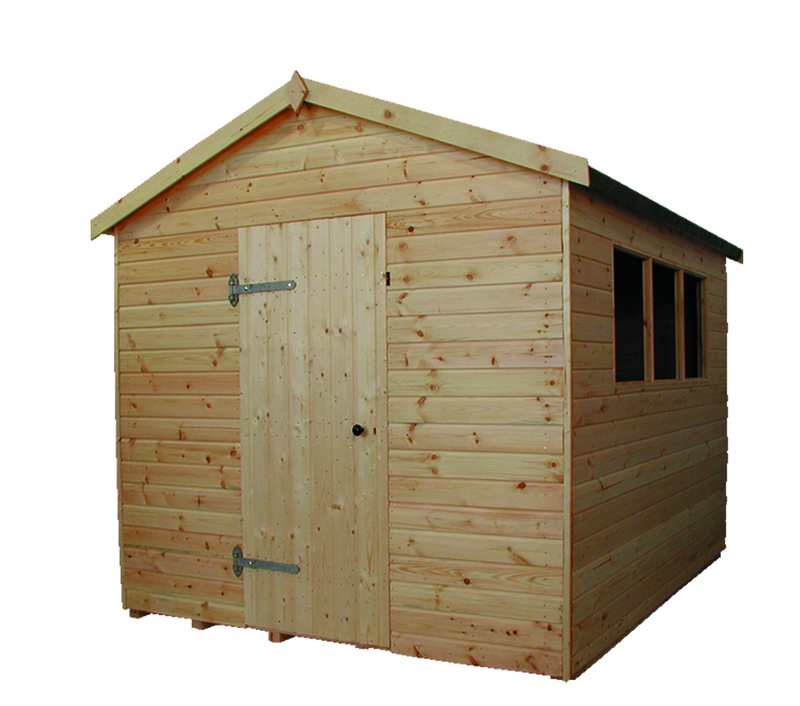 The 60 x 50mm sawn framing on this shed provides additional durability. 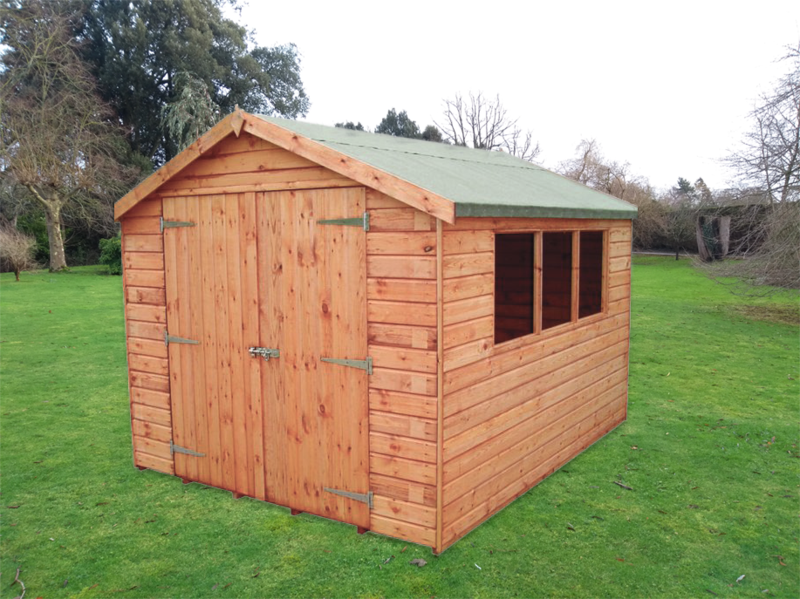 The taller than average shed allows for additional space which makes it ideal for storing tall sports equipment, like skis. The number of windows will depend on your choice of door position. Extra Heavy Duty Pent with a choice of ten door positions – please specify on order. 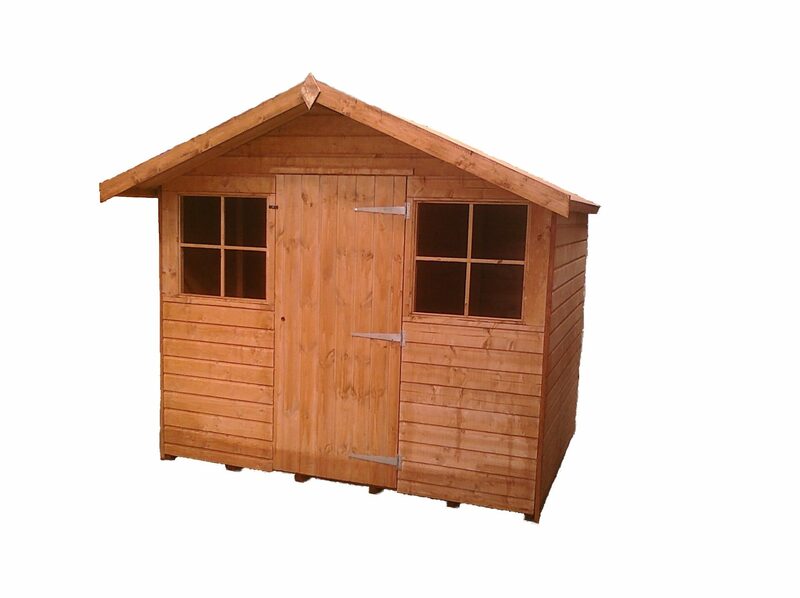 Manufactured from 25% thicker than standard 15mm tongue and groove shiplap cladding including floor and roof and substantial 60x50mm sawn framing. 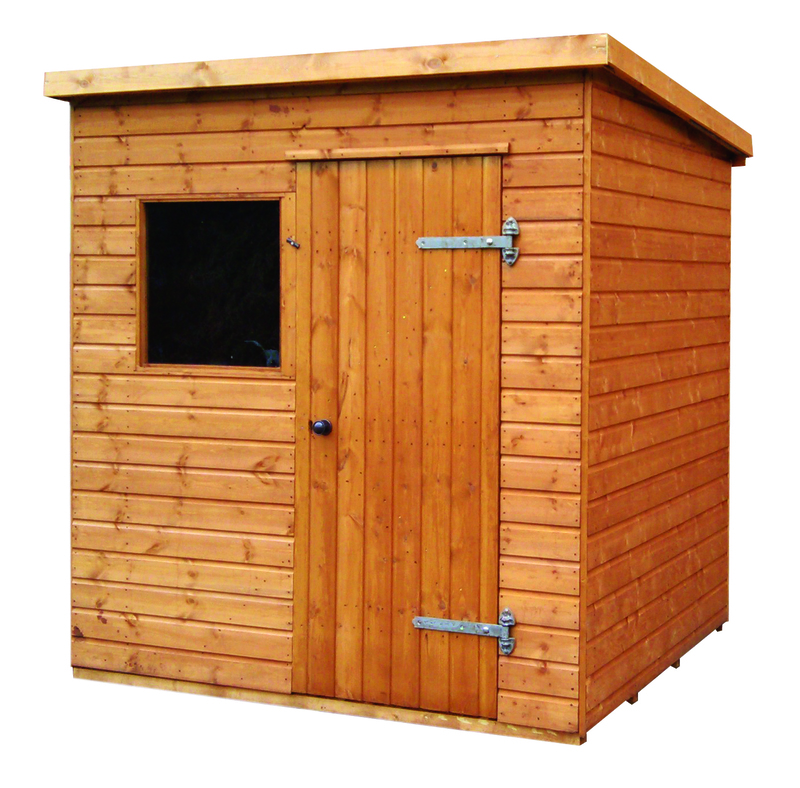 The Extra heavy duty pent is 150mm higher internally than the standard pent. 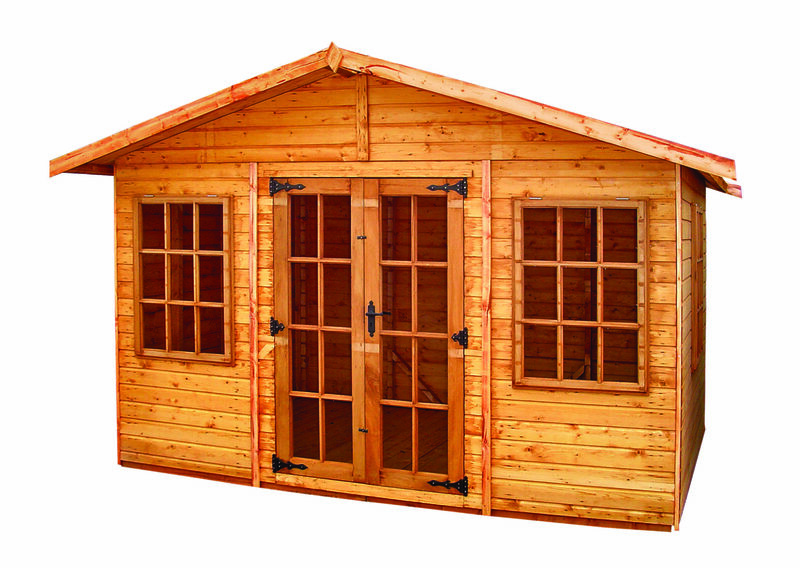 It also has a taller door with heavy duty hook and band hinges and a rim lock and handle. The roofing felt is also heavy duty. Quantity of windows depends on door position. Internal eaves height is 1.98m (6’6) – 2.1m (7’0).